I Won’t Commit is a site devoted to keeping us alive in these times. This is a space for marginalized people to strategize ways to stay alive while moving the revolution forward. The big picture needs every detail, and that includes you. 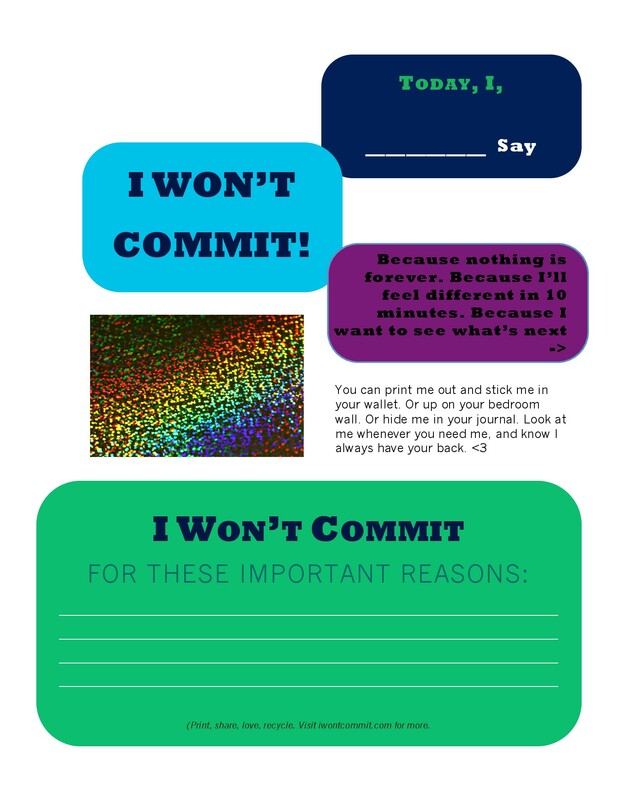 I Won’t Commit is my commitment not to commit suicide. I hope you’ll join me. Click on Blog above to get started. We want every click on this site to take you somewhere great.